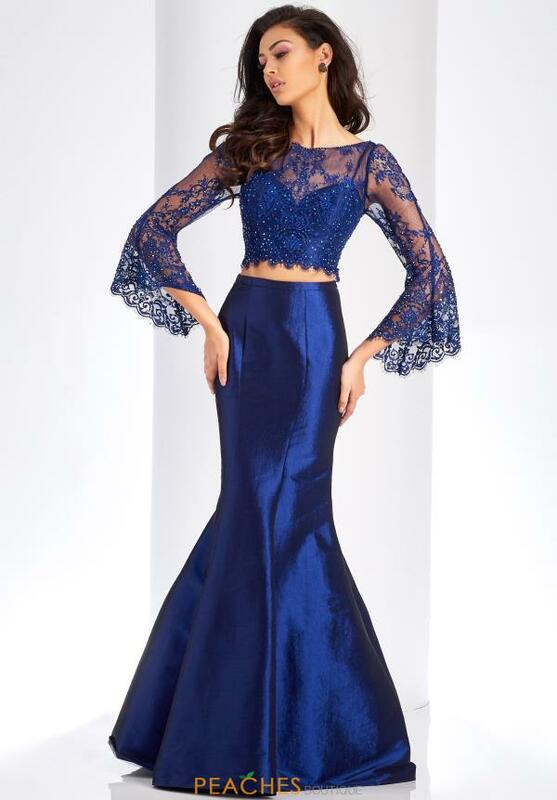 Fashion forward prom dress 4971 from Clarisse has a lace crop top and taffeta skirt. Complex and emotional, this chic troupe includes a ribbon edit best and fabric fit and flare skirt. Made in a perfect ribbon texture,, the yield top exhibit a high neck area and exquisite long ringer sleeves. Effortless scalloped trimming includes an amazing impact, while brilliant stones give this outfit a fly of shimmer.